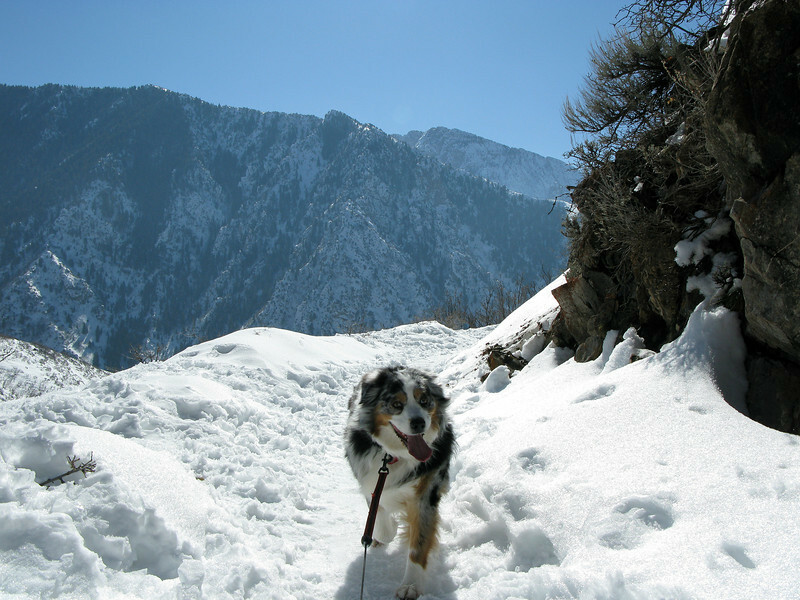 Rattlesnake Gulch is a great dog friendly hike when cool, but no creeks or springs for them to get wet on hot summer days. From the trailhead on the Millcreek Canyon Rd, it is a noticeable 500 ft climb over .7 miles to the juncture with The Pipeline Trail. Here you can go left ( West) to a beautiful overlook of The Salt Lake Valley on an even ,level 1 mile trail. Really great short hike with a great view for a destination. For a longer hike, go right ( N. East) at the junction with The Pipeline Trail. After about 2.5 level miles it will join The Grandeur Peak trail, and 2 more miles The Birch Hollow Trail, and 2 more it will lead into the Mt. Aire trail. The Pipeline trail is popular with mountain bikes because it is very level, but the Rattlesnake Gulch access is steeper and rockier then most bikes will use.